Preschoolers know much better than they behave, and their good intentions can be short lived. There is no better test to adult maturity than the immature ways of the preschooler. The secret to taking care of them is to understand their immaturity isn’t a mistake but part of their developmental design. 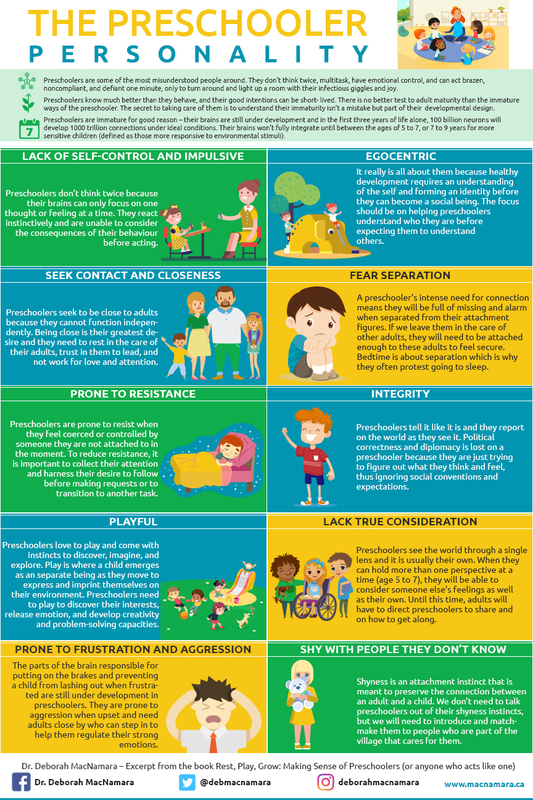 This infographic summarizes the characteristics that often frustrate or baffle adults but are part of the preschooler’s nature.